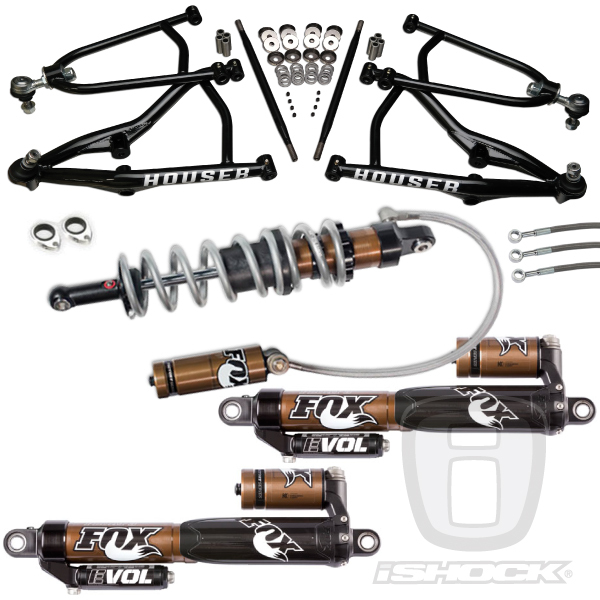 Live today at iShock.com are ATV complete suspension systems featuring the best that Fox and Houser Racing have to offer! No expense has been spared in the development of these systems and the proof is in the performance! If your looking for the best the aftermarket has to offer in ATV race inspired suspension, we have the answer and ofcourse, it's all on sale with FREE shipping right now from your friends and susepnsion experts at iShock! Take a look at this thing of beauty, a complete race system with Houser Long Travel arms and the winningest shocks in pro ATV racing the Fox Factory Series RC2's!